Allianz Global Assistance, a leading travel insurance company, is looking for creative students who want to travel to participate in international volunteer and study abroad programs. Each year, they ask students questions from something like "What is your dream travel experience?" "What inspires you to travel abroad?" to "If you could bring any TV or movie character, whether animated, human or animal, with you on a trip abroad, who would it be and why?" Those interested may submit their answer in either a 60-90 second video or a 550-word essay format and should describe what they are passionate about learning while showing their creativity in answering the question for the year. To be eligible, one must be a legal U.S. resident and a current student over the age of 14 from an accredited high school, trade school, university, or college. There will be a total of 41 winners: 6 first-placers, 10 second-placers, and 25 third-placers. 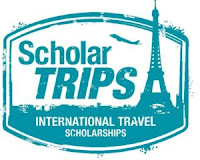 Each will receive a corresponding cash prize to put towards their study abroad or volunteer program. The deadline for this scholarship is usually in NOVEMBER of each year, and the award amount is usually $500 to $2,500. 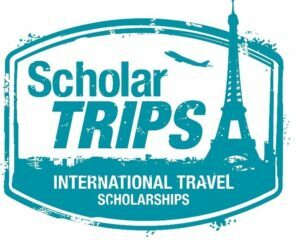 For more details, visit www.scholartrips.org.